May there be peace within your ramparts, peace in your citadels. Yehi Shalom, Let there be peace. So sang great grandfather David, the sweet singer of Israel, and so we pray today. But David was a warrior, and so must we be. Today is Chanuka, the Festival of Lights, let there be light in the world, peace. But today is Chanuka where we celebrate how our forefathers, the Maccabees and the Jewish rebels, defeated our enemies. Peace can be achieved through war. We pray for peace, we work for peace, but we must prepare for war. Krav Maga is this idea in a personal form. There is the state, the military, the special forces, the police and then us, we are the first line of defense. We must take personal responsibility for our safety. I cannot bear to hear more stories of knife attacks, I cannot bear to see more people crying, I cannot handle any more funerals. The pain is too great. But yet I know that our people have suffered much more than this, and survived. The Crusades, the massacres, the pogroms, the holocausts, ...but now we have the Third Jewish commonwealth and the Israeli Defense Forces. And we cried so much, oceans of tears, dark times when the gates were closed. A song can open a gate, a sword protects it. Be a Maccabee, hold on to your sword. How can a baby be slaughtered and men in uniform are laughing? and the world learns nothing. For these I cry...and for these I fight. The world is a place of great kindness and great evil. We pray for peace, we train for war. We walk with our ancestors, we lift up their swords and continue the struggle, we use their words and their swords. The spirit is one. The spirit is alive. We march forward. On this Chanuka day we light the candles, we kindle the spirit and we continue the struggle, as we pray for peace and continue our training. In the name of the holy ones we continue, in the name of God, the God of Israel, to my right is Michael, to my left is Gabriel, in front of me is Uriel, and behind me is Rafael, and on my head is the presence of God. We march forward but we are never alone. 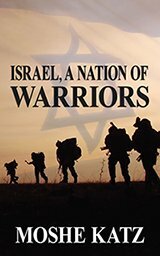 The warrior spirit of Israel. Understanding terrorism, airport security, travel.